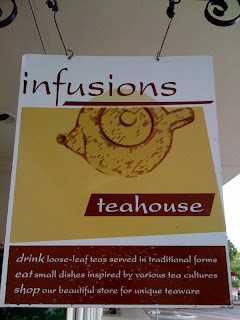 I just arrived at Infusions Teahouse. They open in about 15 minutes (at 9AM). I'm planning to stop at Whole Foods while I'm waiting for Infusions to open. For those of you who are new to my journal, the numbers in brackets are a time stamp expressed in 24-hour time. So, it's 9:23 AM right now. I just finished updating the National Peace Site Map entry to include two pages that describe the map.